"Kepel skilfully knits together the threads of unemployment in France’s urban departements and how fake news and conspiracy theories help to quickly move the process of radicalization forward." 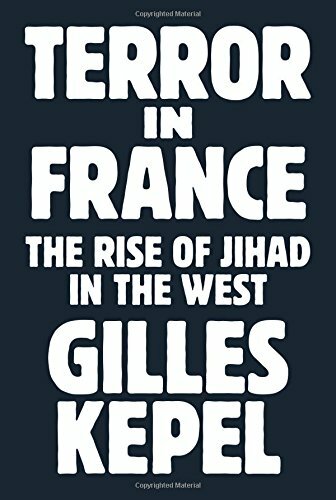 Gilles Kepel is a French political science professor of renown whose work on political Islam finds its latest platform in this short book looking at the radicalization of a segment of Muslim youth in his own country. Kepel skilfully weaves his primary research material and experience with an academic’s forensic perspective to tell the story of how a “third wave” of terrorism is being pioneered by largely the third generation of immigrants to France. A closing down of traditional “avenues of grievance” has set the scene for the rapid radicalisation of individuals who quickly transition “from nightclub to niqab” on their road to committing acts of violence. It is a depressing tale of how a minority who are taking advantage of the ISIS model of networked terrorism to attempt to get European society to turn in on itself along identity lines. Their spectacular acts of violence, from the sickening killings of the staff of Charlie Hebdo to the Bastille Day truck attack, are attempts to spark a clash of civilisations or at least “light the fires of civil war.” Kepel sees the emergence of such deadly Islamism as a “conduit for expressing grievances” whether they be the politics of the conflicts in the Middle East or feelings of exclusion at home. The book explores the failure of post-industrial French society to achieve full integration and how globalisation and the growth of technology allowed virtual communities to emerge that withdrew their consent to obey by the countries laws and norms. Kepel describes this radicalized cadre of third generation immigrants as a “generation Y” who live in the blurred space between the virtual and real world. Radical minorities have reveled in creating a narrative of pure Manichean competition between good and evil framed and fuelled by increasing Islamophobia and feelings of victimization. What is more French intelligence had failed to adapt in time to the new “software” coming out of this decentralized threat having previously focused on Al Qaeda’s top down hierarchical command and control of operations. Kepel skilfully knits together the threads of unemployment in France’s urban departements and how fake news and conspiracy theories help to quickly move the process of radicalization forward. There is an underlying theme of the weaponisation of the somewhat vulnerable “socially disconnected, intellectual lightweight” individuals whose attempts at violence are often defined by their amateurism. Terror in France may be very specific to the experience of that country, but again Kepel has proved himself to be a central intellectual voice in the debate around one of the security challenges of the modern day.